More than just a talk on culture. Our Keynotes are engaging and thought-provoking with actionable takeaways and real-life examples of successful culture change. A happy audience is one that is engaged and is empowered to make actionable change. Are you searching for a speaker who can deliver happiness to your next event? Our speakers bring passion, purpose and practical takeaways on happiness in the workplace. Your audience will be inspired to take action in their own business to implement happiness as a business model. They will walk away motivated to create an organization where happier employees = happier customers = a more profitable business [plus more meaningful lives]. We speak from 15+ years of research and real-life application, sharing our learnings from multiple industries and multinational clients across the globe. We don’t just talk about culture; we help build successful cultures. Our message is just what your audience needs to hear, and the tools we provide are exactly what they need to deepen the culture activation within their organization. It’s way cooler than you think! 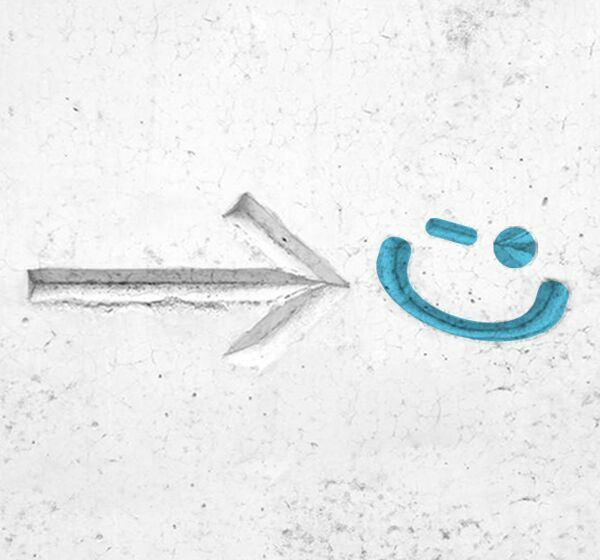 We educate your audience with data-driven, science-backed knowledge, and positive psychology to demonstrate the value a happier workplace can have within their organization. It’s not just our opinion; we have scientific research to back it up! We were one of the first companies to focus where culture and happiness intersect. In fact, we have been pioneering the science of happiness at work since the early days of Zappos. Since then we have worked with over 350 organizations around the globe and across many industries to create happier, more profitable companies. Our message is relevant to your audience regardless of where they are on their culture journey or the number of employees within their organization. We have real-world examples embedded within our keynotes and present it in an interactive, engaging, and fun way for all audiences. Your goals are most important to us, and we can tailor our message to meet your specific needs or audience. Our collective experience has brought us around the world and connected us with clients across different industries. Combining our 15+ years of experience in the culture space and research from the science of happiness, we can speak to a variety of perspectives. From Dubai to New York City, our speakers go above and beyond to ensure their message resonates with your audience. Inspiration without action doesn’t help anyone nor will your culture change! While our speakers are inspiring, we also realize the value of providing tools that can educate and measure your own culture for immediate action. Of course, we are always available to take the next step with you, so you never have to go at it alone. Reach your ideal culture by embedding WOW customer service into your company culture. Use DH and Zappos-inspired tools and techniques to develop your own unique, WOW culture that will ultimately create WOW customer service. Define, measure, and benchmark critical elements of your culture to drive overall success. Through our assessment tools discover the KPIs for your culture and explore the DH roadmap to reach your unique goals. Discover the link between personal and organizational higher purpose and the role it plays in business success. Inspire your employees to align their personal purpose with your company’s mission. Sunny Grosso is a founding member of DH’s Coachsulting™ team and has guided organizations along their culture journey through our masterclasses, workshops, and coachsultingservices. She helped develop the DH model and approaches using the science of happiness and insights from our growing list of clients. Sunny’s mission is to help organizations realize their higher purpose through positive work cultures, and she’s already inspired teams in 20 countries with our DH approach. You can find Sunny speaking at different events around the world, leading our workplace culture bootcamps, and coachsulting teams on their culture initiatives. When she does have some downtime, she’s amping up her yoga skills or penning her thoughts for the DH blog. Shereen is an experienced development leader whose purpose-driven work inspires individuals and organizations alike to seek happiness and freedom of self. She has led business development teams and initiatives for over 15 years in top software companies and global leadership and human performance development firms. Through her work, she has helped people around the world unleash their potential to live, work and thrive with passion and enthusiasm. I wanted to thank you for taking the time Jenn to speak at the Patient Experience Conference at the Cleveland Clinic. You were the highest rated speaker at the event, and I believe that it is a testament to your skill as a speaker, but more importantly a validation of your message! Thank you so much for coming to visit us at Turner last week, and for your incredibly inspiring keynote! Folks here are still talking about how wonderful it was. I am excited to be your ambassador here in Atlanta & to capitalize on the momentum from your talk to drive more culture change here within Turner and beyond. First up: a “happiness audit” within the company to capture what we’ve already done from a grassroots perspective so that we can take it up the chain to inspire changes from the top-down. What a great way to kick off our conference! Sunny provided leading-edge, thought-provoking information that resonated with our audience from varied disciplines. She is an engaging speaker who effortlessly presents supporting research and case studies while providing applicable techniques. I highly recommend Sunny Grosso as a keynote speaker for any organization, as we can all benefit from a company culture that focuses on happiness. Bring happiness to your next event with one of our DH keynote speakers. Our message will inspire and resonate with your audience and provide actionable next steps to create happiness and purpose in their lives and organizations.